Select a job, click on apply now. Complete and submit the application. We can interview you via telephone within one business day or sooner after receiving the application. Many of the Start and Completion dates are estimated and need to be confirmed by our Recruiters. Carpenters needed for commercial project. Duties will consist of framing walls, doors, windows and hanging cabinets in a 4 story wooden structure. You must have your own basic tools of the trade, reliable transportation and may be asked to pass a pre employment drug or background screen upon arrival. Experienced Concrete Finishers needed on various commercial projects. Your primary responsibilities will be flat work finishing. You will be required to mix, pour, flatten, and level all grades of concrete as well as performing basic labor functions. After a 60 day probationary period you will be eligible for Health, Dental, and Vision insurance. After 60 days you will be eligible for a 401k with 5% company matching program. You must have all basic hand tools and you may be required to pass a drug screen and background check upon arrival. Massachusetts Licensed Journeyman Electricians needed for various new construction commercial projects. You will be responsible for running conduit, pulling wire, installing boxes for receptacles and switches, making terminations, hooking up various equipment, and setting fixtures. You must have all their own basic hand tools of the trade and you must be able to work with little no supervision. You may be required to pass a pre employment drug test and background check upon arrival. Massachusetts Licensed Journeymen Electricians needed for various commercial projects. You will be responsible for bending conduit, pulling wires, hanging and setting fixtures, rough wiring walls, and making terminations. You must have all basic hand tools of the trade. You may be required to pass a pre employment drug test and background check upon arrival. Licensed Journeyman Electricians needed for industrial project. You must have a current electrical license from SD, AK, AR, CO, ID, IA, MN, MT, NE, NH, NM, ND, OK, TX, UT or WY. You will be responsible for installing cable tray, IMC, GRC, EMT, wire, cable, and completing terminations. You will be working on HVAC equipment, distribution equipment, power and lighting. You must have your own tools of the trade including battery drill. You may be required to pass a drug and background screen upon arrival. Iowa Licensed Journeyman needed for new commercial construction. You will be responsible for all phases of commercial electrical installations including building service. Duties will include: pulling wire and installing EMT for service and branch circuits all the way thru to trim out of devices. Must be able to read and lay out from prints. You must have basic hand tools. You may need to pass a pre-employment background check and drug screen. Licensed Utah Journeyman Electricians needed for industrial project. You must also have a current Safety certification. Hours range from 50 - 60 hrs per week. A safety certification is required. Job duties will include pulling wire, installing Rigid, EMT, cable tray, terminations, and motor controls. You must be able to read and understand blueprints, wiring diagrams and have understanding of and familiar with instrumentation. Basic hand tools and reliable transportation are required. You may be required to pass a drug screen and background check upon arrival. NE Licensed Journeyman Electricians needed for an industrial project. You must be willing to work up to 60 hours a week. You must be proficient at installing 1/2" - 3" GRC and Aluminum rigid, IMC, cable trays, pulling wire, all-thread hangers and pipe racking. You must be proficient using smart benders and triple nickel benders. A pre-employment drug screen and background check may be administered. You must have basic hand tools. Journeyman Electricians needed for combination commercial/industrial project. Hours range from 50 - 60 hrs per week. Job duties will include pulling wire, installing Rigid, EMT, cable tray, terminations, and motor controls. You must be able to read and understand blueprints,and wiring diagrams. Basic hand tools and reliable transportation are required. You may be required to pass a drug screen and background check upon arrival. Journeyman Electricians with Aerial Lift Certification needed for an industrial construction project. You will be responsible for installing rigid and EMT pipe, pulling wire, making terminations and for motors, controls, equipment such as conveyors, and setting fixtures. Electricians will be working out of boom lifts and scissor lifts up to 45 feet in the air. This will be a production based position so you must be able to work with little to no supervision. You must have all your own basic hand tools of the trade and you may be required to pass a pre employment drug test and background check upon arrival. Journeyman Electricians needed for commercial project. Duties will include running EMT, MC, some cable tray, pull wire and tray cable, install, lights, panels, devices, connection of HVAC equipment and other misc.electrical equipment You must have your own hand tools of the trade. You may be required to pass a drug and background screen upon arrival. Journeyman Electricians needed for a commercial fitout project. Duties will include running MC Cable, EMT conduit, and installing light fixtures and devices. You must be proficient at pulling, splicing, and terminating wire. You must have the basic hand tools of the trade and you may be required to pass a drug screen and background check upon arrival. Massachusetts Apprentice Electricians needed for various commercial projects. You will be responsible for assisting Journeymen with bending conduit, pulling wires, hanging and setting fixures, rough wiring walls, and making terminations. You must have all basic hand tools of the trade. You may be required to pass a pre employment drug test and background check upon arrival. NE Licensed apprentice electricans needed to assist Journeyman on an industrial project. You must be willing to work up to 60 hours a week. You must be proficient at installing 1/2" - 3" GRC and Aluminum rigid, IMC, cable trays, pulling wire, all-thread hangers and pipe racking. You must be proficient using smart benders and triple nickel benders. A pre-employment drug screen and background check may be administered. You must have basic hand tools. Apprentice electricians needed for a commercial construction project. You will be responsible for assisting Journeyman with running EMT, pulling wire, making terminations, and setting fixtures. Electricians must have all their own basic hand tools of the trade and you may be required to pass a pre employment drug test and background check upon arrival. Working Foreman HVAC installer needed for various commercial projects. You will be in charge of running crews of installers ranging in size from 2 to 20 installers. You will be responsible for projects form start to finish and will be installing spiral, round, rectangular, flex duct work, VAV boxes, smoke dampers, and setting units. Foreman will be responsible for reading prints and laying out the project. You must be experienced in wiring controls, and will be doing the start up at the end of the project. Foreman must have a universal EPA certification. You must have all your own basic hand tools of the trade and you may be required to pass a pre employment drug test and background check upon arrival. This is a temporary to permanent position and after a probationary period you will be eligible for: medical benefits, life insurance, short and long term disability, paid time off, paid holidays, and 401K. Journeyman HVAC Installers needed on various commercial projects. Your responsibilities will include setting rooftop units, furnaces, heat pumps, swamp coolers, as well as the duct installation of spiral, square, flex, round, single wall, double wall, and venting systems. After a 90 day probationary period you will be eligible for Health insurance (company pays 90% of premium), 401k and profit sharing, paid time off, paid holidays and company uniforms. Basic tools of the trade are required. You may be required to pass a pre employment drug test and background check upon arrival. Journeyman HVAC Installers needed for commercial new construction project. You will be responsible for installing spiral, round, and rectangular duct work, uni-strut hangers, VAV boxes and smoke dampers. Installers must have all their own basic hand tools of the trade and may be required to pass a drug screen and background check upon arrival. HVAC Sheet Metal Mechanics needed for commercial retro-fit and renovation project. Duties will include hanging and insulating 12" and smaller round duct, 24" x 8" and smaller square duct, and helping to install refrigeration lines. You must have basic hand tools of the trade and you may be required to pass a drug screen and background check prior to arrival. Apprentice HVAC Sheetmetal Installers needed for various commercial projects. You will be assisting Journeymen with the installation of HVAC systems and accessories including ductwork, piping, and control wiring. You must have all your own basic hand tools of the trade and may be required to pass a pre employment drug and background screening upon arrival. Journeyman Ironworker needed for a commercial project. You will be responsible for erecting columns, connection and bolt up, welding joist and decking welding stick - 7018 rods, and setting stairs and railings. You must have all your own basic hand tools of the trade and may be required to pass a drug screen and background check upon arrival. Millwrights needed on various industrial projects. Duties will include the layout, cut, weld and assembly of grain industry equipment; along with the dismantling of used, worn out and broken industrial equipment. You must have the ability to climb and work at heights up to 200 feet. You must bring your own basic tools of the trade and you may be required to pass a pre employment drug and background check upon arrival. Company pays 100% of health, dental and vision insurance premiums, with paid time off and paid holidays. Journeyman Pile Bucks need for a bridge construction project. You will be responsible for rigging of pile, directing the operator of where to set and drive the pile, as well as aid in the construction of large diameter drilling, earth retention and shoring. Pile bucks must know crane hand signals. If you can stick and mig weld that is a plus because you will be needed to weld on carbon steel piles. You must have all your own basic hand tools of the trade and you may be required to pass a pre employment drug test and background check upon arrival. Journeyman Plumbers needed for commercial construction project. Duties will include setting toilets and sinks, sweat on trap adapters, and installing finish trim on fixtures. You will also be installing PVC and copper pipe. You must have basic hand tools and you may be required to pass a pre employment drug test and background check upon arrival. Journeyman Plumbers needed for a commercial construction project. You will be responsible for installing pipe hangers and supports, copper pipe up to 3" and you must be able to solder and braze. Plumbers must have all their own basic hand tools of the trade and you may be required to pass a pre employment drug test and background check upon arrival. Massachusetts Licensed Journeyman Electricians needed for various new construction commercial projects. You will be responsible for running conduit, pulling wire, installing boxes for receptacles and switches, making terminations, hooking up various equipment, and setting fixtures. You must have all your own basic hand tools of the trade and you must be able to work with little no supervision. You may be required to pass a pre employment drug test and background check upon arrival. California certified Journeyman electrician needed for various commercial projects. Additional details not yet available, if interested please apply now! MA Licensed Journeyman needed for various renovation projects. You will be responsible for all phases of commercial electrical installations including building service. Duties will include: pulling wire and installing EMT for service and branch circuits all the way thru to trim out of devices. Must be able to read and lay out from prints, work unsupervised while guiding apprentices. You must have basic hand tools. You must pass a pre-employment background check and drug screen. Oregon Licensed Electrician needed on a commercial project. You will be responsible for all phases of commercial electrical installations including building service. You will be pulling wire, setting fixtures and installing Romex in walls and ceilings. Must be able to read prints and make layouts from those print. You must have basic hand tools. You may be required to pass a pre employment drug test and background check upon arrival. Journeyman Electricians needed for an industrial renovation project. Duties will include the installation of EMT and rigid conduit, lighting, panels, switches, and transformers. You must be proficient in pulling, terminating, and splicing electrical wire. You must have basic hand tools and you may be required to pass a pre employment drug test and background check upon arrival. Commercial Electricians needed all phases of commercial electrical installations including building service. Duties will include: pulling wire and bending/installing EMT for service and branch circuits all the way thru to trim out of devices. Must be able to read and lay out from prints. You must have basic hand tools. You must pass a pre-employment background check and drug screen. Journeyman electricians needed for a commercial construction project. You will be responsible for installing conduit, pulling wire, making terminations, setting fixtures, and hooking up various devices. Electricians must have all their own basic hand tools of the trade and you may be required to pass a pre employment drug test and background check upon arrival. Industrial Maintenance Electricians needed on heavy industrial projects. You will be responsible for maintaining various industrial equipment and troubleshooting for problems. You must have electrical controls experience and will begin training with the current electrical controls person on the project. You will be eligible for a company phone after 90 days, as well as a 401k and paid vacation after 1 year. Basic tools of the trade are required. You may be required to pass a pre employment drug test and background check upon arrival. Journeyman Electrician needed for various commercial projects. Your responsibilities will be the installation of various sizes of EMT conduit, pulling wire, setting fixtures and terminating devices. You must be versed in all phases of commercial new construction and understand NEC code. After a 90 day probationary period you will be eligible for Health insurance, phone allowance, Life Insurance, Employee Assistance program and paid vacation. Basic tools of the trade are required. You will be required to pass a pre employment drug test upon arrival. You may be required to pass a pre employment background check. Journeyman Electricians needed for various commercial and industrial projects. More details are coming soon, please apply now! Commercial Electrician Helpers with 3+ years experience needed all phases of commercial electrical installations. You will be assisting journeymen with pulling wire and bending/installing EMT for service and branch circuits all the way thru to trim out of devices. Must be able to read and lay out from prints. You must have basic hand tools. You must pass a pre-employment background check and drug screen. Equipment Operator needed for various industrial projects. Additional details not yet available, if interested please apply now! Journeyman HVAC Sheetmetal installers needed for a commercial construction project. You will be responsible for installing large double wall duct, uni-strut hangers, VAV boxes and smoke dampers. Installers must have all their own basic hand tools, You will be required to pass a pre-employment background check and drug screen upon arrival. Lead HVAC service technician needed for various commercial projects. Your primary responsibilities will include the maintenance, troubleshooting and repairs of various equipment such as filters, compressors, leaks and overall diagnostics. You will be responsible for the job quality and customer satisfaction. After a 90 day probationary period you will be eligible for Retirement fund (company match up to 3%), quarterly bonuses. health insurance, company uniforms, 10 paid days off after 1 year, paid driving time, ongoing career oriented training, and a company vehicle (between jobsite and shop). Basic tools of the trade are required. You may be required to pass a pre employment drug test and background check upon arrival. Journeymen HVAC Sheetmetal Installers needed for various commercial projects. Additional details not yet available, if interested please apply now! Kentucky Licensed HVAC Sheetmetal Installers needed for various commercial projects. Additional details not yet available, if interested please apply now! Journeyman HVAC Installer needed on various commercial and multifamily projects. Your responsibilities will include the installation of various size and shaped duct, setting equipment, as well as other aspects of commercial HVAC installation. Basic hand tools and cordless drill is required. You may be required to pass a pre employment drug test and background check upon arrival. Journeyman HVAC Installers needed on various commercial projects. Your responsibilities will include setting rooftop units and other equipment as well as the duct installation of spiral, square, flex, round, single wall, double wall, and venting systems. Basic tools of the trade are required. You may be required to pass a pre employment drug test and background check upon arrival. Journeyman HVAC Installers needed on various commercial projects. Your responsibilities will include setting rooftop units and other equipment as well as the duct installation of spiral, square, flex, round, and venting systems. Basic tools of the trade are required. You may be required to pass a pre employment drug test and background check upon arrival. Journeyman HVAC Installers needed on various commercial projects. Your responsibilities will include the installation of various size and shaped duct, installing roof top units and various other equipment. Experience with residential work as well as the ability to braze and solder is preferred but not required. Basic tools of the trade are required. You may be required to pass a pre employment drug test and background check upon arrival. Journeymen HVAC Sheetmetal Installers needed for various commercial and industrial projects. You may be required to pass a drug screen and background check upon arrival. Additional details not yet available, if interested please apply now! Apprentice HVAC Sheetmetal Installers needed for various commercial projects. Additional details not yet available, if interested please apply now! Apprentice HVAC Sheetmetal Installers needed for various commercial and industrial projects. You may be required to pass a drug screen and background check upon arrival. Additional details not yet available, if interested please apply now! 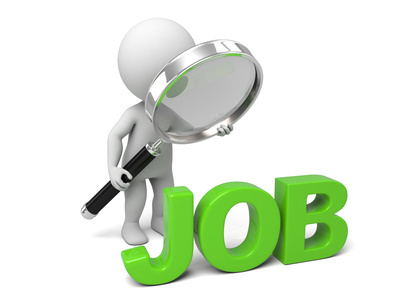 Journeyman Mechanical Pipefitter needed to install refrigerant pipe on commercial project. You will be running copper with diameters less than 1" and must be able to braze and solder. You must bring your own basic tools of the trade and may be required to pass a pre employment drug and background screen upon arrival. Massachusetts Licensed Journeymen Plumbers needed for various commercial projects. Additional details not yet available, if interested please apply now! Journeyman Plumbers needed for commercial new construction projects. Your primary responsibilities will include installing PVC, PEX, steel and gas lines, sweating copper, and setting fixtures. You must be versed in all phases of commercial plumbing. Basic hand tools of the trade are required. You may be required to pass a pre employment drug test and background check upon arrival. Journeymen Plumbers needed for various commercial projects. Your primary responsibilities will include setting fixtures, PVC tie ins, soldering no hub cast iron, brazing and making connections. If you are interested in a long term position Basic tools of the trade are required. You may be required to pass a pre employment drug test and background check upon arrival.